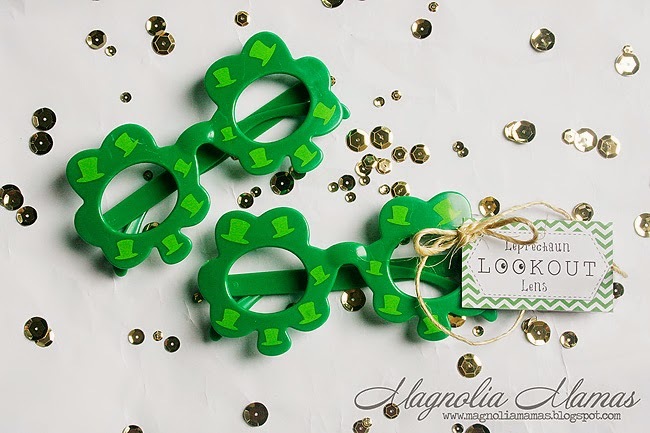 With St. Patrick's Day only a week away, I have been in full on party planning mode. Last week, I knocked out fun teacher/girlfriend gifts, but this week I am all about the kids. Cute's class has a little party each year, and I wanted to do a fun little favor for he and his classmates. I was trying to come up with something cute and easy for them to use and also tie in with the days festivities. After some brainstorming, I thought it would be fun for the children to go on a Leprechaun hunt. 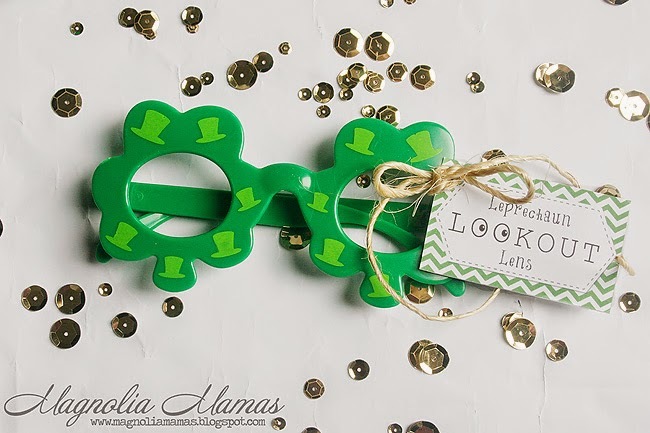 Then the thought came to create "Leprechaun Lookout Lens" as a coordinating prop. I created a draft for the printable first, and then browsed the dollar store for some further inspiration. In my mind I was thinking binoculars, glasses or a spy glass would be perfect for tying in the hunt and the favor idea. After bringing my find home, I printed my tags and attached directly to the glasses. I figure the children will want to wear them right away and it's an easy removal and clean up. 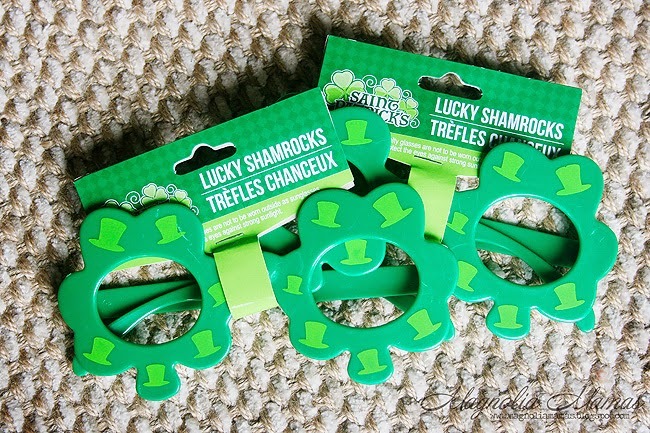 I can't wait to see them running around in them searching for sneaky Leprechauns. Too cute! 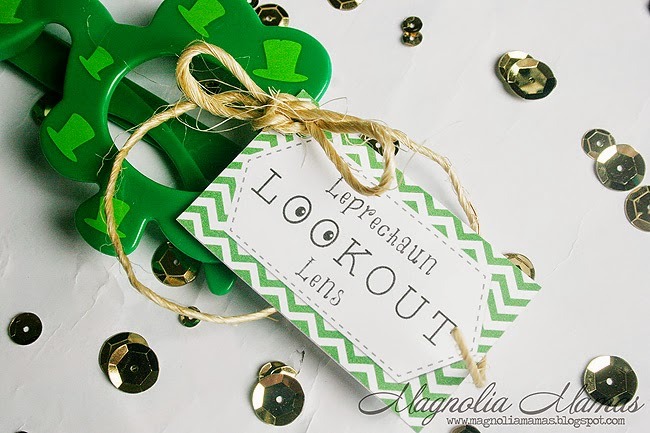 If you plan on enjoying a Leprechaun hunt of your own, it's only fitting that you also get your own Leprechaun Lookout Lens. 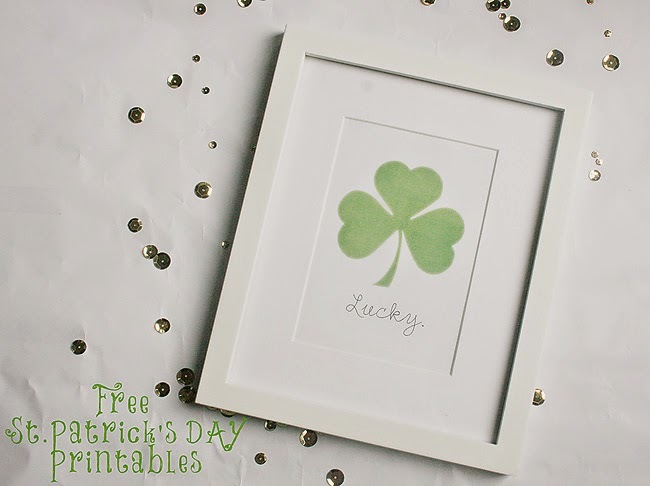 To download the printable click HERE. 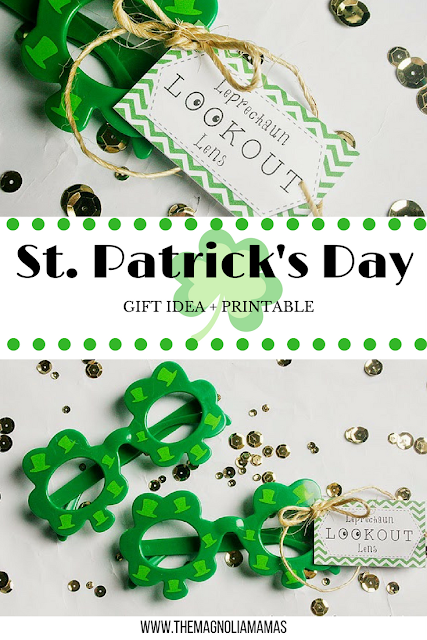 While I am sharing fun St. Patrick's day themed printables I thought I would share the following one as well. I hadn't thought about it and then a friend walked in my home and asked for a copy. 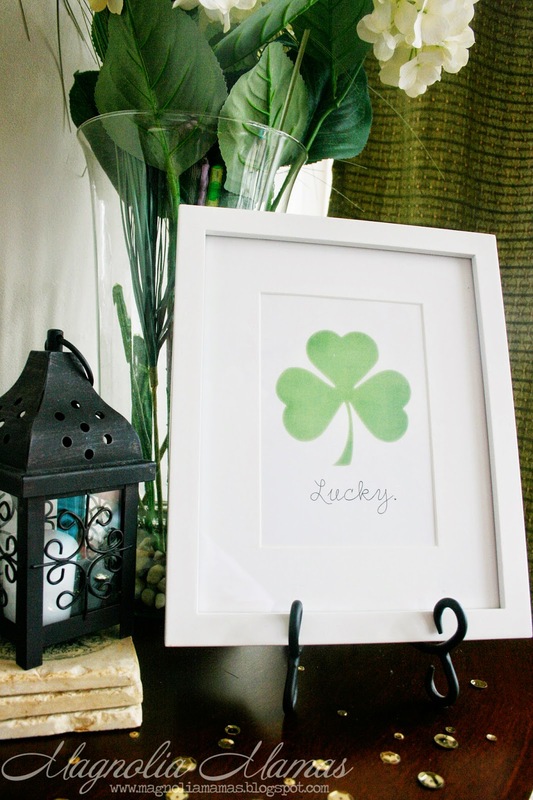 It's pretty simple, but I like that it adds a little something fun to our home decor for the holiday. Those glasses are adorable!! I miss the days of preschool when we had parties for every holiday. Now that my daughter is in school, not so much! :( But we still fix treats to take in and share with her classmates. Thanks for sharing that print, too! Thank you Cory! I am going to miss the day they don't have parties anymore :(. Stay little forever!